Raleigh, NC modern progressive metal group VALLEYS have been gearing up to release their debut full length concept album, Experiment One: Asylum, which is set to hit stores on February 12, 2016. 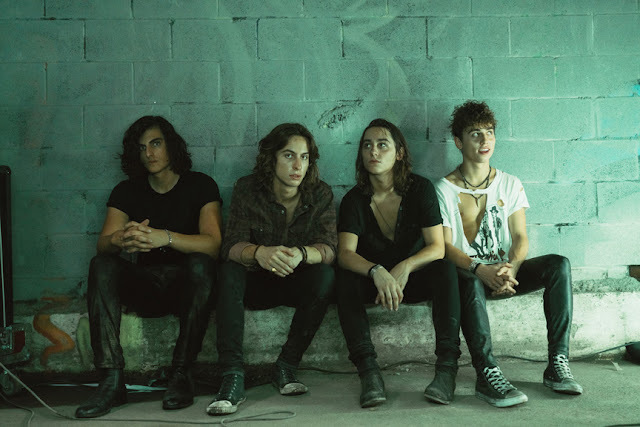 On February 5th, just a week prior to their scheduled release, the band received a phone call from the local fire department that a vehicle matching the description of the car owned by one of their vocalists, 23-year-old Mikey Clement, had been found wrecked. It wasn't long after that they received the news that Mikey had passed in the accident. As a group, VALLEYS made the decision that while they could put a halt on the entire album release, that is not what Mikey would have wanted them to do. He would have wanted the show to go on and for them to release the music that he and the band worked so hard on. In celebration of Mikey Clement's life, VALLEYS will still perform at their album release show on Friday, February 12th at The Southland Ballroom in Raleigh, NC (614 N West St.). Now being treated as a tribute show dedicated to his memory, the show will feature several local and regional metal vocalists standing in for Mikey, including Paul Huffman of A Boy Named Sue, Chris Roy of Take Heart, Dylan Barham of Blessed By The Broken, and Chris Walsh of Dear Desolate. In addition to VALLEYS,other bands performing will include Her Echo, The Death In Me, A Boy Named Sue, Take Heart, and Guard Her Ways. For more information on the event and to RSVP, please visit the show page here. VALLEYS' performance previously scheduled for this coming Wednesday with Fleshgod Apocalypse has been cancelled. Another event is currently being scheduled with proceeds benefitting the Clement family - more details will be announced soon. 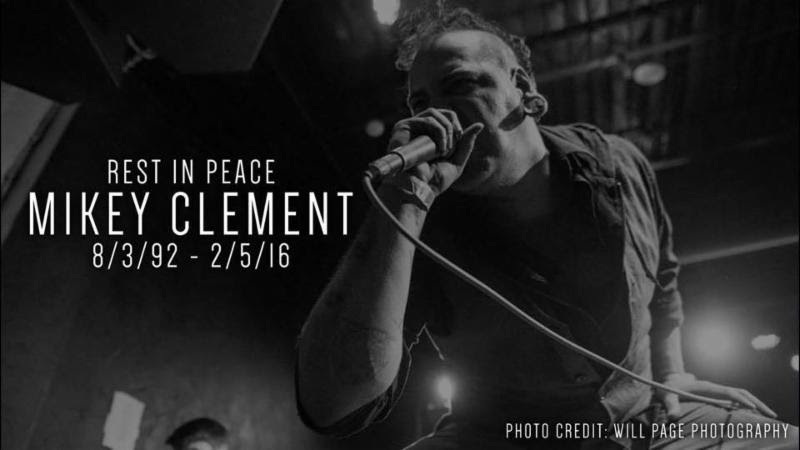 "Many of you have heard and seen the news that we've lost Mikey Clement. Early in the morning of February 5th, Mikey was the victim of a horrific car crash, one that took his life. Today, we lost more than just a bandmate, we lost a brother, a son, a friend, an all-around tremendous human being. Everyone here in VALLEYS have been by each other's side, and at the side of the Clement family. We have seen the outpour of support and love from all of our friends and fans, and we thank you. All of your comments have been extremely touching and have helped us to stay strong in our time of need. On February 12th, we will have our Experiment One: Asylum CD release party. This show will also be a big tribute show for Mikey. We need all of our fans and friends to come out and show love for not just VALLEYS but for Mikey. At this show, VALLEYS will be joined by many of our closest musical friends to part take in guest vocals on stage. We will continue to move forward, that's what Mikey would want. We will see you on February 12th. 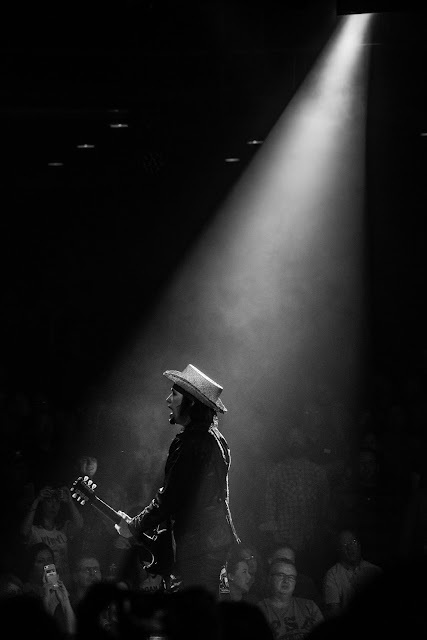 And to Mikey, in death, you will see the light. Keep that flame alive up there buddy. Until we meet again!" VALLEYS'new album Experiment One: Asylum tells the story of main character Asylum, who battles with multiple-personality disorder stemming from a dark personal tragedy. Each track on the album explores a different personality, weaving the listener through a mind of severe mental illness with a dynamic, heavy soundtrack. "Choices" depicts Asylum's struggle over what he could have done and the choices he could have made that would have impacted his situation differently. Preview more of Asylum's story with the band's first single "Finding Solace", which depicts his struggle with overcoming multiple-personality disorder, and via the short film music video for"The Death of Me" (directed by Jaiden Frost of Jaiden Frost Presents), which transports the viewer back to the beginning of the story. Experiment One: Asylum was recorded during the summer and fall of 2015 and is produced by Paul Barton of 415 Recording, with mixing and mastering duties handled by Todd Borland of Borland Studios. In support of Experiment One: Asylum, VALLEYS will launch an upcoming U.S. spring tour - more details are set to be announced regarding the tour in the coming weeks. See below for currently confirmed VALLEYS performance dates. Formed in 2013 in Raleigh, NC, VALLEYS has quickly grown into a dominate force in the genre of progressive metal with countless tours and a 2014 release, the Reborn EP, under their belts (Reborn digi | physical). Walking in the footsteps of bands such as Periphery, Veil of Maya, and Tesseract, VALLEYS triumphed over their local and regional scenes while expanding their national recognition with each passing day. In fact, VALLEYS are officialwinners of the 2015 Headbang For The Highway Battle of the bands for Summer Slaughter Tour, endorsed by COLDCOCK Whiskey. To date, VALLEYS has performed with bands such as Motionless In White, Stick To Your Guns, Terror, and more.